It's the Labour Day weekend! What better way to spend the much deserved holiday for us workaholics out there? 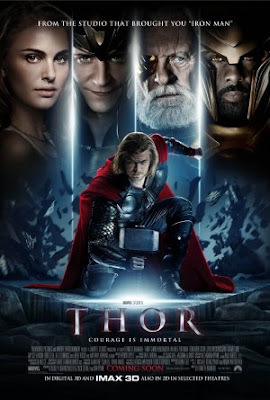 That's right, catching a movie at the local cinema~ Me & WL started the weekly movie marathon by watching the first summer blockbuster, Thor. Anyways, who can ever forget the yummy-licious actor with the hottest bod & sexiest gruff voice ever? The rising star, Chris Hemsworth is the God of Thunder with his "heavenly" body in the movie.